Binocular Series. Handbuilt at our Czech headquarters in the heart of Europe, each MeoStar® binocular is designed and constructed to be the brightest, sharpest, highest performing hunting optic in the World and has gained legendary status among outfitters and professional hunters across every continent. Rugged beyond reason with smoother-than-silk mechanics our MeoStar® binoculars will serve a lifetime of hunts. Twilight Optimized optics combines MeoBrightTM ion-assisted multi-coatings with HD Fluoride lenses to minimize light absorption in the optical system and maximize the light meant for your eyes when the daylight is fading fast... and you’re closing in on the trophy of a lifetime. 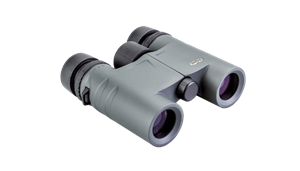 NEW for 2019, the Optika HD series binocular brings unsurpassed European quality within reach for the discerning outdoorsman.